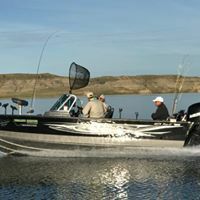 Our walleye hunter trips are available on Canyon Ferry Lake, Holter Lake, Hauser Lake and Fort Peck Reservoir. All of our guides are US Coast Guard Licensed Captains. 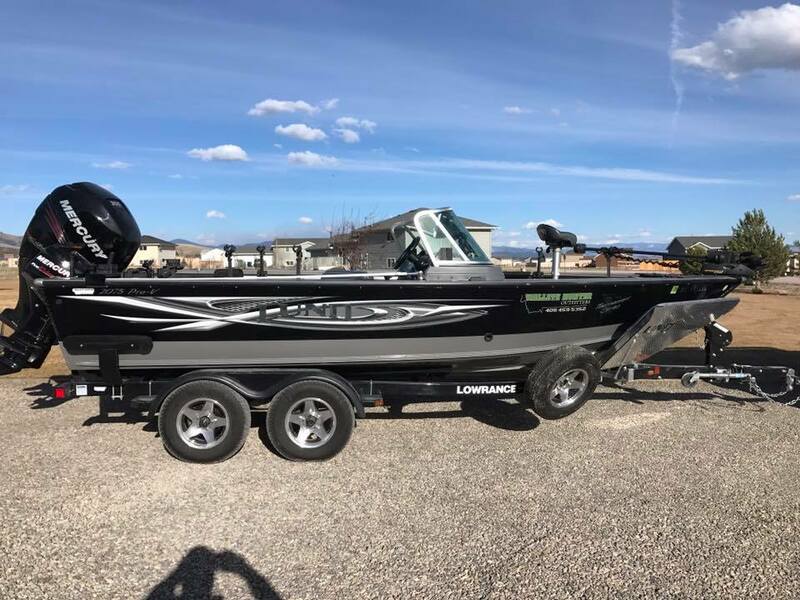 We fish out of a twenty foot Lund Pro-V. This boat has high sides which is great for kids and is very stable in high winds. We have very comfortable cushion seats and a Bimini top for rain storms and shade in the summer. 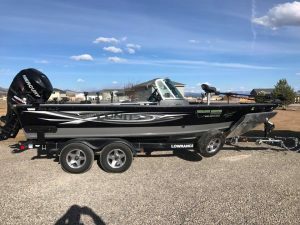 We equip or boat with the state of the art Lowrance electronics, Minn Kota I-Pilot trolling motor, Shimano reels and Fenwick walleye series rods. All equipment, tackle, bait, lunch, non-alcoholic beverages, life-jackets, rain-jackets, and etc. are supplied by us on every trip. All you need to bring is good clothing layers, cooler for your fish fillets, camera, fishing license, and a great attitude! At the end of every trip we will fillet your catch and vacuum seal them for your convenience. Our guided trips are an 8 hour minimum. We wear no watches on the water and give you your money’s worth! If the fish are biting you will have to drag us off the water before dark. We guarantee you, we will work our hardest for you. Any time frame on the water can also be arranged for your convenience. Before every trip just let your guide know if you’re interested in seeing different styles of fishing. For instance there are many different ways to catch walleyes (Jigging – Crank baiting – Lindy Rigging – Bottom bouncing – ETC.) Let them know what you’re interested in learning. Here is a brief description of the beautiful Montana waters we fish.